Hazlewell Court is located approximately 5.5 miles north west of Cambridge city centre and less than 1 mile from the Bar Hill junction of the A14. Hazlewell Court is a high-quality conversion of former barns located in landscaped grounds. The development provides nine converted units, totalling just over 10,000 sq ft. 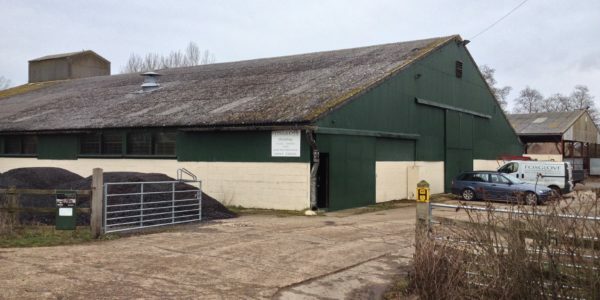 The units provide self-contained office space and have been developed developed in the style of traditional barns. The modern office specification includes comfort cooling, feature lighting, perimeter trunking, excellent natural light and good on-site parking. The building is currently used as a D1 Health Centre but has previously had consent for use as offices under B1 of The Town and Country Planning (Use Classes Order) 1987. The premises are immediately available on a new effective full repairing and insuring lease for a term to be agreed. There is a large additional car park to the rear which is available for use by tenants. Note – the postal address is Lolworth however the property is near the A14 Bar Hill junction, not accessed from the Lolworth junction.